Methods of consuming entertainment have steadily evolved over the last couple of decades, and this is especially true for radio and podcasts. Rather than turning on FM radio in the car, many choose to instead fire up their phone and stream a live radio show or podcast during their commute. This hasn’t led to the total destruction of the broadcast radio business, however. Many traditional radio stations have done a great job of jumping into this new world by streaming their content as well as broadcasting it over the air. Podcasts technology has rapidly evolved as well. At their start, podcasts were just a pre-recorded audio file you had to download. Now, like radio, they’re using streaming technology to broadcast both the audio and video of their program to a live audience, then making it available for download after the show. There are two types of streaming that stations or podcasters might want to offer. One is audio-only streaming, also known as an “internet radio station” and the other is live video streaming to platforms such as Facebook, Twitch, or YouTube. Different tools are needed to deliver both of these options. In order to successfully stream live audio, your podcast or radio station will need a couple things. The first is an internet radio hosting provider, which is very similar to the type of web hosting company you would use for a website. The hosting provider is the server people will use to connect to your live audio. While it’s possible to run an internet radio server in your office, almost no one does this — it’s simply not cost-effective. Companies like Stream Guys, Shoutcast, and many more offer these services for a monthly fee. After choosing a host, you can implement audio players onto websites, apps, and in public directories such as TuneIn Radio offers. Once your internet radio station is up and running you’ll need to get your audio hooked up to it. Just like streaming video, live audio requires an encoder to take your audio, turn it into data, and send it to the server. There are both hardware and software encoder options that range from free to a few thousand dollars. Determining the best solution for an audio encoder is truly a case-by-case decision. Some podcasters use free software like WinAmp, while top radio stations use solutions that cost anywhere from $100, for encoding software, to $2,500 plus, for hardware encoders. It all depends on budget, which features are required, and what other equipment is already in use. Once you have an encoder picked out you simply need to connect the audio source (mixer) to it and start streaming. 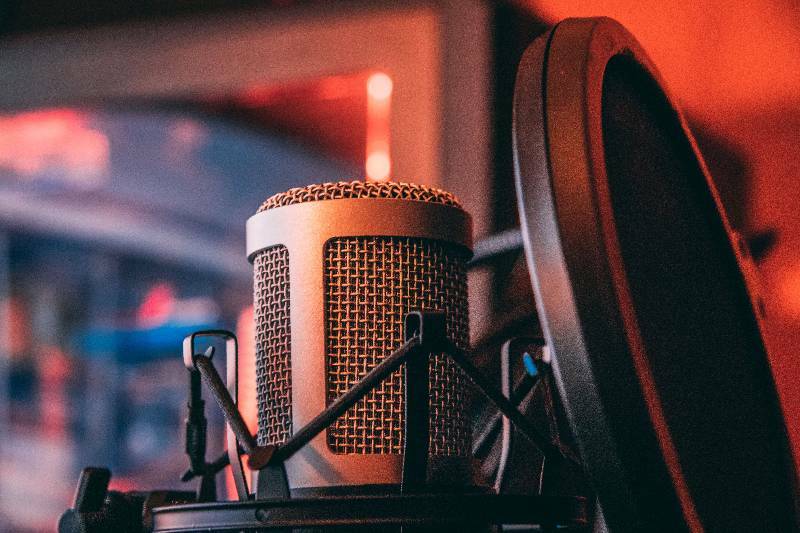 That’s pretty much it for podcasters, but there are a few other considerations for traditional radio stations who stream online. Radio stations sell separate advertisements on their internet streams and their FM stations so it’s not as easy as just simulcasting the same exact thing in both places. Many stations will use automation systems like NexGen Digital or SAM Broadcaster to play different commercials on the stream versus over the air. Others use ad insertion features from their internet radio hosting company. The other big consideration for traditional broadcasters or anyone running an internet radio station is music royalties. If you broadcast music on the internet you must pay royalties for it. That goes for everyone from internet radio hobbyists to big name corporate radio stations. Royalty rates vary based on how many people listen to your station, as well as a number of other factors. Internet radio stations are required to submit logs showing exactly what was played and how many people heard it to determine their royalties due. Failure to pay music royalties can lead to massive penalties and legal action. 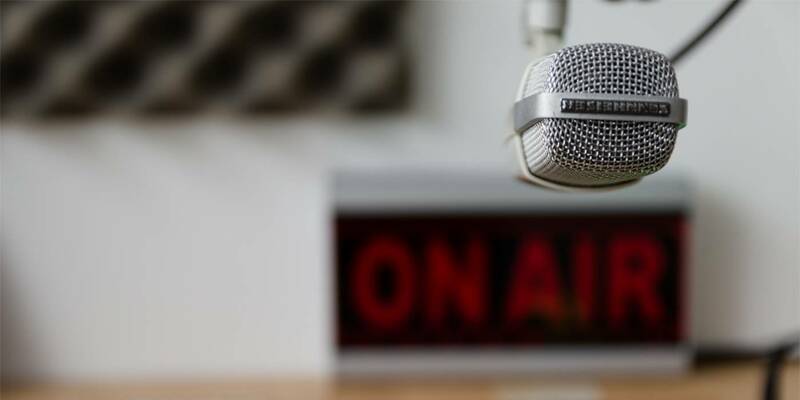 In what can be described as a massive evolution, radio shows and podcasts are rapidly embracing live video as part of their digital marketing strategies. We say “radio shows” rather than radio stations because when it comes to live video, traditional radio doesn’t broadcast a non-stop live feed that runs all day, like the way they might with an internet radio station. The big reason for that is music royalties. While you can get set up and pay to play music on an audio stream, there are currently no mechanisms for video streamers to legally stream music. If you attempt to stream copyrighted music in a live video stream, platforms like Facebook and YouTube will shut down your stream and possibly ban you from streaming again. Here’s a few tips on copyright rules and how to avoid getting flagged. That doesn’t mean live video hasn’t become a huge asset to traditional radio, because it truly has. Almost every radio talk show now has some sort of live video element. This allows longtime listeners to put a face to a radio host’s voice. It also lets them see special guests and stunts taking place in the studio. At the same time, it gives the audience a peek behind the curtain. Viewers can typically see the radio host running the board and all the equipment it takes to put on a show, and many people love seeing how all that works. Live video streaming is also great for traditional radio personalities and podcasters because it helps organically extend reach into new audiences in new places. Using powerful streaming services like Switchboard Cloud, a live video can be broadcast to a private website and all your favorite social streaming platforms — simultaneously! All a streamer needs to do this is some basic video streaming equipment and the audio feed from their board. Established podcasters and radio stations have a great advantage when it comes to marketing a show’s live stream. They can heavily promote it to their existing audience, which typically creates a snowball effect. Suddenly people are watching and listening, then sharing the live streams. That grabs the attention of others and ideally, the audience grows. New shows can have a bit more of an uphill battle when trying to organically grow an audience but the key is consistency. Bringing in guests with a large following is a great way to tap into their audience and introduce your show to them. From there you can watch as the many benefits of live streaming a radio show or podcast continue to roll out for you.